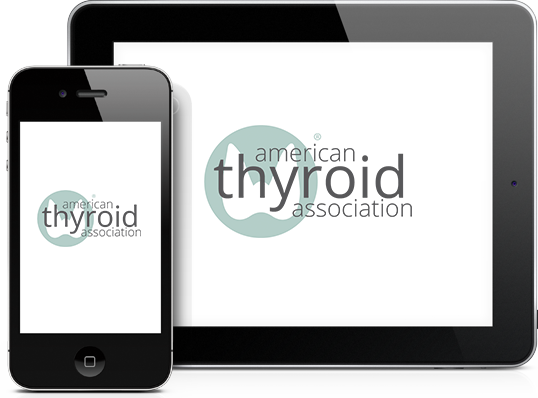 The American Thyroid Association® has posted thyroid nodule calculators to provide guidance and recommendations for particular practice areas concerning thyroid disease and thyroid cancer. The Calculators are not inclusive of all proper approaches or methods, or exclusive of others. The Calculators do not establish a standard of care and specific outcomes are not guaranteed. Treatment decisions must be made based on the independent judgment of health care providers and each patient’s individual circumstances. A calculator is not intended to take the place of physician judgment in diagnosing and treatment of particular patients. The ATA® posts calculators based on the evidence available in the literature and the expert opinion of ATA® members in the recent timeframe of the development of calculators. Management issues have not been and cannot be comprehensively addressed in randomized trials; therefore, the evidence cannot be comprehensive. Calculators cannot always account for individual variation among patients. Calculators cannot be considered inclusive of all proper methods of care or exclusive of other treatments reasonably directed at obtaining the same results. Therefore, the American Thyroid Association® considers adherence to these calculations to be voluntary, with the ultimate determination regarding its application to be made by the treating physician and health care professionals with the full consideration of the individual patient’s clinical history and physical status. In addition, the calculator concerns the therapeutic interventions used in clinical practice and do not pertain to clinical trials. Clinical trials are a separate matter, designed to research new and novel therapies, and the calculators are not necessarily relevant to their purpose.